We went into Hong Kong expecting a huge city devoted to shopping and not much more, and consequently found ourselves surprised with all the hidden pockets we discovered while there, which went far beyond consumerism gone wild. We spent days exploring the city’s fractious past and schizophrenic identity it developed during the tug-of-war game between China and Great Britain, aspects which can still be seen today. 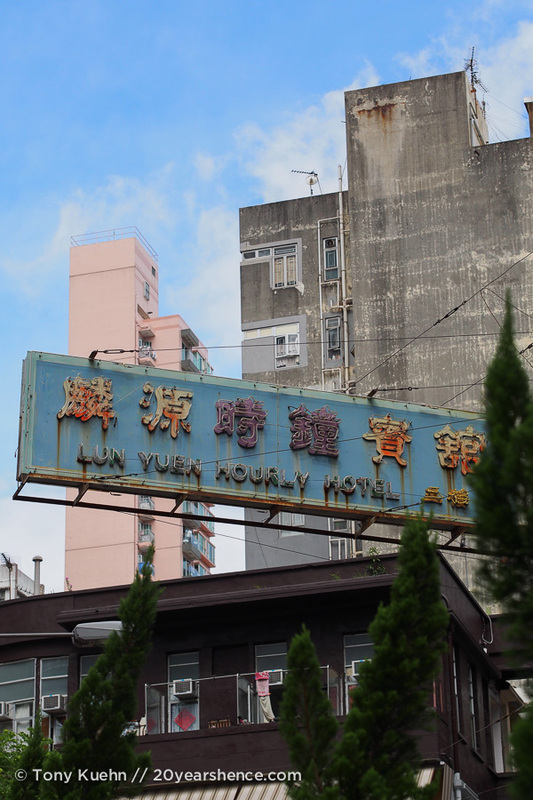 It is a city rich in stories and culture, and rather than British rule having diluted these things, vestiges of this time have integrated into the very fiber of the city, resulting in a weirdly wonderful blend that is entirely unique to Hong Kong. If you thought learning Mandarin was hard, brace yourself, because one of Hong Kong’s official languages, Cantonese, features 9 tones instead of Mandarin’s paltry 5! However, because of the influx of mainland Chinese tourists to Hong Kong (as well as for other political reasons), we were given to believe that most people are able to speak and understand both, so Mandarin speakers should not have any major issues communicating. Unfortunately, neither of us speak anything resembling either Cantonese or Mandarin. Lucky for us, thanks to British colonization, Hong Kong’s second official language is English! Perhaps it’s not surprising then that virtually everyone we encountered could speak English (and did so willingly), and we had no problems navigating as street and information signs were always written in both English and Chinese. Although we read online that it is indeed possible to find hole-in-the-wall joints where no English is spoken or included on the menus, you’d really have to try hard to get that far off the beaten path. Everywhere we ate had English printed on the menu, or had a separate English menu available (though be warned that in these instances, the menu may be “abridged” and only feature pricier options!). One other issue is that even if restaurants offer English menus, their signs outside may only be written in Chinese, so if you are attempting to dine at a specific restaurant, make sure you have the address, and try to get the restaurant name written in Chinese if possible. Unlike Japan, prices were always written using conventional, Arabic numbers rather than Chinese kanji. If you’ve read any of our posts on Hong Kong, you’ll know that we LOVED the food here. So as not to mince words, Hong Kong truly is a foodie’s paradise. No matter the time of day, you won’t have to look far to find a meal that is hot, fresh, flavorful & cheap! If you find yourself overwhelmed by all the possible options, check out Open Rice, a website where Hong Kong diners rate and review restaurants. No visit to Hong Kong would be complete without dining out on its national dish, dim sum, at least once. These meals featuring “little bites” are traditionally eaten in the morning by Cantonese (think of it as a tapas-style Asian brunch), but if eating shrimp dumplings before noon isn’t your thing, many establishments will serve up delectable dishes all day long. If you only have time for one dim sum meal, try some of the best Hong Kong has to offer at Tim Ho Wan or One Dim Sum. Hong Kong cuisine spans far more than dumplings. If you’re interested in exploring the various cuisines that form the cornerstone of traditional Hong Kong fare, you should try a Chiu Chow and a Hakka restaurant. For more information, check out our in depth food post here. Unlike many other Asian countries, most dining in Hong Kong is done in restaurants rather than out on the street. Certain night markets will feature food tributaries branching off of the main market street, and there are a few store front restaurants the sell BBQ meats as well as skewered and grilled mystery meat parts which can be grabbed as a quick snack on the go, but these are exceptions rather than the rule. While dining out in Hong Kong can accommodate nearly any budget, if you stick to local restaurants rather than foreign chains or upscale hotel eateries, you will find that eating in Hong Kong can be very affordable, despite the general lack of street food. More than anything else the hardest part will be pacing yourself! One of the reasons why Hong Kong is a food mecca for diners is because the culinary scene is truly diverse, so it’s easy to constantly change things up so that your palate never has the opportunity to get bored. Although pricier than Chinese food, Western dining options featuring American (hamburgers, steaks) and Italian food can be found without a huge price bump. We found that specialized Japanese restaurants were particularly abundant, and only marginally more expensive than local food. Being located on an island means that real estate is at a premium and you will absolutely have to pay for the privilege of staying in Hong Kong. It really is the one downside to this otherwise wonderful place. Although you’d much rather spend your money on food, the sad truth is that a huge portion of your budget will be devoted to lodging costs in Hong Kong. In ritzier parts of the city, it is not out of line for hotels to charge $300USD per night for a double room. So what’s a budget traveler to do? By far, one of the most popular areas of the city for those wishing to cut costs is to stay on Kowloon rather than Hong Kong Island. Though this may sound less glamorous (and it is), many attractions and markets are located on this side of the bay, so while it may not have the cachet of staying on HKI proper, it may very well wind up being more wallet-friendly and more convenient for you. A particularly infamous complex that is crammed with low-rent accommodation is Chung King Mansion, located in the Mongkok district. We worried that the area was perhaps a bit seedy and so chose not to stay here, but having visited the area, we would not have any security or safety concerns staying in this part of town. (Indeed, we never once felt any kind of threat to ourselves during our time in Hong Kong.) As for CKM, we cannot vouch for that, as we have read reports that the building(s) may have seen better days and have an air of the slums about it with cramped, characterless quarters (sometimes you really do get what you pay for! ), but then again this may give you a rather authentic taste of what it is for many to live in Hong Kong. Needless to say, space is a luxury that many cannot afford when visiting (or living in!) Hong Kong. CKM is the home of not just hotels, but also many of Hong Kong’s hostels, so a stay here may be unavoidable for those with limited funds. Alternates to consider are renting an apartment (though these will likely be in the “suburbs” if the prices are to be anywhere reasonable) or Couchsurfing. 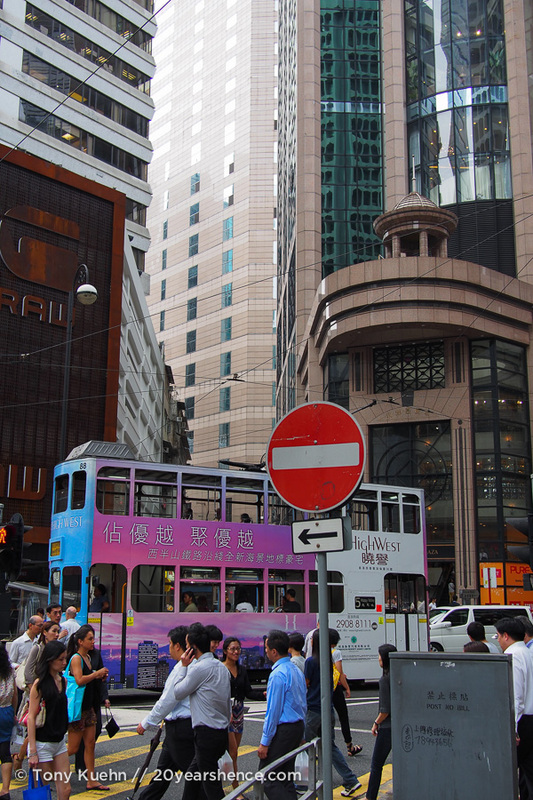 Hong Kong has an excellent metro network that is more than sufficient for getting you around the downtown core of the city, and can even be used to get across the bay. Trains are clean and frequent and run until approximately 1am, and were generally our first choice for getting around. Stops are marked and announced in both English and Chinese and the system is straightforward and easy to navigate. If you are heading out of the central city district to the coast, the airport, or the New Territories, then taking a bus (or minibus) will be in order. Newer buses have scrolling signs that name the impending stop, but with minibuses, you may have to simply keep your eyes peeled, making them a tad less manageable for those less familiar with the city. Better to stick to the metro unless you are truly up for an adventure! Trams (or ding dings, as they are affectionately known) traffic the central region of Hong Kong island and only cost a flat rate of $2HKD to ride. Though whimsical to watch from the ground, they are more fun to observe than to actually ride, as they offer a rather bumpy, jerking ride. We rode one tram once and were left in little doubt as to why Hong Kongers raised a fuss when the city wanted to raise the price on this nauseating form of transportation. Like many major cities, fares on the metro and bus are based on distance traveled. Although you can pay in cash, virtually no one does this. Instead, get yourself an Octopus card, which you can load with variable cash amounts; simply swipe when entering and exiting the metro, and the appropriate amount will be debited. There are tourist “all you can travel” cards, but by and large, the MTR is quite cheap and you would have to take a lot of trips in one day to make it worthwhile. The added bonus to picking up an Octopus card is that you will receive discounts on your fare, and you can use them for paying for other forms of transportation throughout the city (such as buses, where exact change is required). Many shops throughout Hong Kong (such as the ubiquitous 7-11) also accept payment via Octopus card, so for some, this may be preferable to carrying around large wads of cash. If at the end of your stay, you still have a balance remaining on your card, you can take it to any ticket counter for a refund. NOTE: Recently the HK MTR has instituted a policy that if an Octopus card is returned for a refund within 3 months of purchase, a small processing fee is charged; this fee amounts to less than $1USD, however, which you’ll more than make up for in discounts and convenience if you stay in Hong Kong for more than one or two days. In terms of average costs per day, Hong Kong’s prices are certainly more in line with what one would expect to pay in the Western world as opposed to Asia. It’s not on par with Japan in terms of price, but it would be hard to consider it a budget destination. This is largely because a good chunk of money will be eaten up by lodgings, though thankfully, other aspects of the city such as dining, transportation, and attractions are far more reasonable, and can certainly be thought of us cheap compared to Western prices. You shouldn’t have much trouble finding an ATM that accepts your bank card in Hong Kong – no need to search for 7-11s or post offices here, as there are a large number of banks that will accept international cards. There was always an option to display the prompts in English, so navigating the various screens was not a problem. The only thing to be aware of is that many banks will limit the amount of cash you can withdraw at any one time, and it is somewhere in the ballpark of $200USD. We found this to be true even if the machine itself did not explicitly state that there was a withdrawal limit. If you need more, you will have to perform additional transactions (with associated fees, naturally). And you will need to have cash on hand as credit cards are not accepted at smaller stores and restaurants, and you’ll absolutely need some bills if you intend to spend any time at the markets. Instead, expect to pay cold hard cash or the Octopus card to settle up. Upscale restaurants and larger, more expensive stores will take cards, and we found that, unlike Japan, if credit cards were accepted, ours always worked. NOTE: if paying by credit card, you should always ensure that the receipt you sign has HKD listed before the price! There is a world of difference between HK$300 and US$300, and unscrupulous shops may try to gouge you for the latter. If it’s not written on the receipt, write it in yourself to make sure that no unexpected charges crop up later. Additionally, you may be given the option of paying in HKD or having the price converted to USD; though it may seem tempting, stick to HKD as the exchange rate offered is always less favorable than the one your credit card company will likely employ. 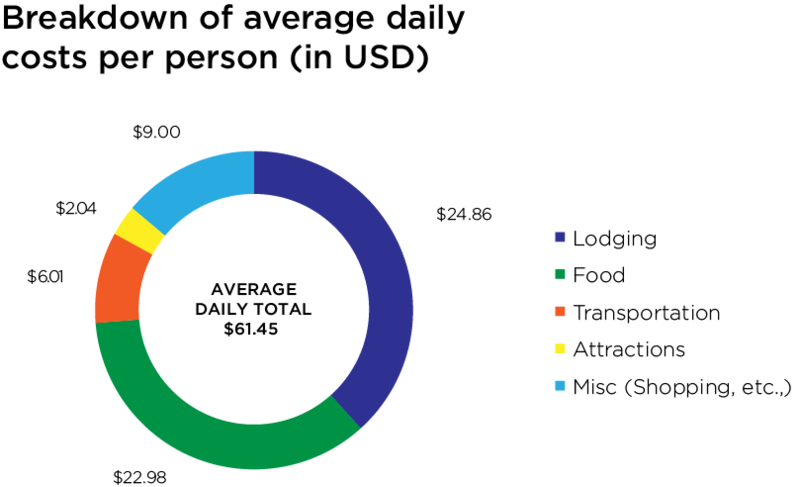 Projected Daily Budget: We didn’t really have one set for Hong Kong, but transitioned into our overall trip goal of having a daily average of $50/day (per person). So we exceeded this budget by $11.50 USD. A Note On Daily Costs: In our daily costs, we have separated out the cost of our flight into the country. We did this because we do not believe that the including the price getting into or out of a country produces a figure that does not accurately reflect our actual day-to-day costs. Moreover, flight prices fluctuate wildly based on the time of year and week when traveling, as well as where one is departing from, so we include the price we paid separately for your edification. We believe our Lodging, Food, Transportation, Attractions, and Miscellaneous Shopping costs are reasonable estimates that may be informative for other likeminded travelers; however, we believe the cost of our transportation into any country is best considered a separate lump sum expenditure, and we will continue to treat it as such. Accommodation: In order to keep our lodging costs to a minimum, we stayed in a 9-bed dormitory in a hostel located in Causeway Bay for the duration of our time in Hong Kong. Luxurious living it was not, but at only $25USD per person per night, this was the cheapest sleeping we could find in Hong Kong that didn’t skeeve us out. Check out our Lodging page for more details. 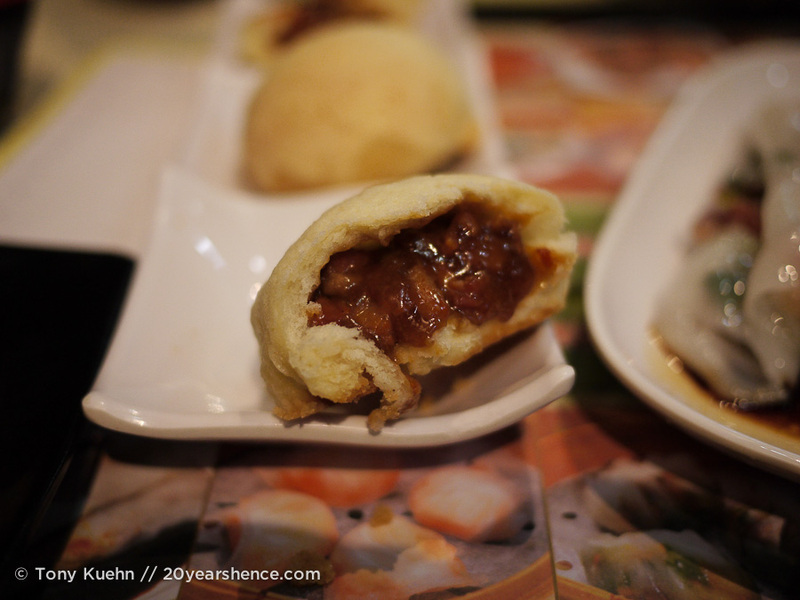 Food: We went a bit hog wild while eating in Hong Kong because the food really was that good. We tended to eat two meals per day, and stuck solely to local establishments. This tapered off a bit near the end of our time in Hong Kong as we were sick, and so we self-catered a few paltry meals. It is certainly possible to eat for less in Hong Kong, but we did so with gusto and don’t regret a single cent! Transportation: On average we probably rode the MTR 3 times per day, and then would spend the bulk of our time walking around an area. Much of what we wanted to do was located in Kowloon, which required the use of the MTR or ferries to reach and then to return home in the evening. Attractions: Our lowest expenditure by far, the nice thing about Hong Kong is that the city itself is often the greatest lure so unless you’re heading of to Hong Kong Disney World or Ocean Park, your sightseeing costs will likely be quite low. Many attractions such as the Hong Kong Museum of History and the Chi Lin Nunnery either charge no admission fee, or the costs are nominal (< $3USD per person). This figure plots our daily spending per person during our time in Hong Kong so you can get a better sense of how our daily average evolved. We know it’s basic math, but so often we encounter travelers who pick a daily budget and then refuse to spend a penny more than that, even though you will certainly have days when you are well under budget. 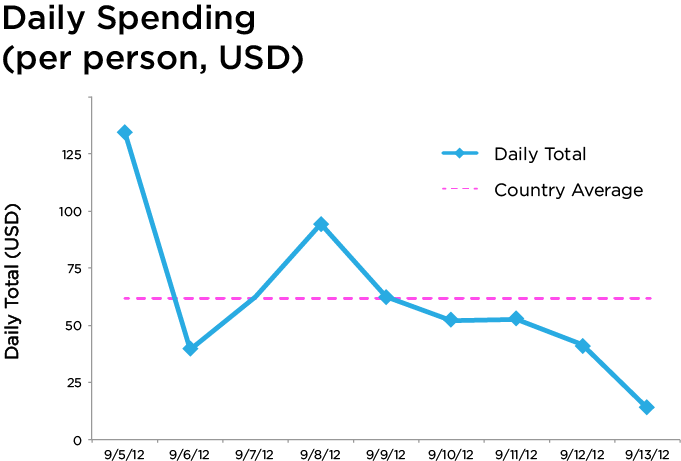 We hope this helps illuminate our spending habits, and will serve as a reminder that you can have crazy splurge days (like the day we spent almost $135 per person, due to purchasing a new pair of Teva sandals and flip flops!) and still do ok. Caveat: $62USD per person per day is not the absolute cheapest you can visit Hong Kong on – certainly some travelers get by on less. But, for those travelers who want to enjoy themselves, have the occasional splurge, but still keep an eye on the purse strings, we think this is actually pretty reasonable. It is certainly easy to spend double or triple this if you’ve got money to burn or are not as budget conscious. Best memories: Seeing Hong Kong for the first time at night; visiting Chi Lin Nunnery; having a true Hong Kong feast with Yetta & Alan; cruising Victoria Harbour; haggling at the markets; the food! Worst memory: Being sick for our last three days in the city & having to wait it out in a 9-person dorm! If there had been any other slightly reasonable options (or our hostel had offered private rooms) we wouldn’t have prolonged this misery. Hidden gem: Don’t limit your explorations of Hong Kong to its urban elements: Chi Lin Nunnery has one of the nicest gardens we’ve ever seen! Also, if you can’t stomach the long queues at Tim Ho Wan, check out One Dim Sum as an alternative for excellent dim sum. Best Lessons Learned:Hong Kong really reinforced for us that we greatly prefer striking a balance between purposeful sightseeing and leaving things open to chance. Here we rarely slated ourselves more than two things per day, leaving plenty of time for “down time”, and we found ourselves energized by the freedom and were able to fully enjoy ourselves rather than feeling harried due to being overscheduled. Gone was the pressure to cram every experience into a single day, replaced instead with a constant sense of satisfaction from allowing our whims to drive us at a more leisurely pace. Additionally, as much as it pains Steph’s inner planner, we came into Hong Kong a bit at loose ends about what to do, but prepared to fumble our way through… to our great enjoyment and success! Because we hadn’t done extensive research about the city prior to landing, we really had no preconceived notions of what it would be like and what we should expect. Consequently, we found that rather than reality competing with insurmountable fictions we had created for ourselves, we were instead more open and receptive to simply appreciating the city for what it truly was and not what we thought it should (would?) be. Very little we chose in Hong Kong wound up being a dud, so there is not much that we would change about our time in Hong Kong, other than it would have been delightful not to have spent our last 3 days in the city sick as dogs. No real regrets about the things we did do, but more we found that there were several things we wished to see that we did not. In that vein, the one thing that practically everyone who visits Hong Kong does, which we were unable to do, is pay a visit to Victoria Peak. We foolishly failed to do this in the early days we spent in the city, and then wound up too sick to visit. For this reason alone, we feel we must visit Hong Kong again so we can take in the view from on high. We have also heard good things about Lantau Island and its Giant Buddha, but given that we had already seen two such statues in Japan, we felt we had hit our large-Buddha-statue quota for the time being and decided to give it a miss. We also skipped Ocean Park, but by all accounts these two things are fantastic, and on a return visit, we’d be sure to see both. Finally, for our one major foray outside the city center, we chose to head to Stanley: though the coastline was lovely, this hangout for homesick expats and Western tourists turned out not to be our cup of tea. Perhaps heading to Aberdeen would have been more of the same… but perhaps not. There’s only one way to find out! And although transportation is made more difficult there, next time we’d like to venture into the New Territories, to get a slightly different perspective on the city. If you love big cities, then Hong Kong is one stop in Asia you cannot miss. The frenetic energy of it puts places like New York and Tokyo to shame, and despite all its veneer, there is a slight griminess to the entire place that means you’ll never doubt whether you are experiencing the “real” Hong Kong. That said, vestiges of British rule mean that despite the occasional “Wild West” feel to it, Hong Kong is still eminently manageable, even for novice travelers. Hong Kong offers a little something for everyone, whether that be culture and history, gardens and beautiful scenery, or concentrated urban splendor. It also has excellent and affordable mass transit, and the food scene has quite rightly been lauded worldwide. If you planned a trip to Hong Kong solely for the purpose of eating, you would get nothing but enthusiastic high fives from us (as well as pleas to join you!). Quite simply put, we absolutely adored Hong Kong and would hate to see anyone skip it! Though it is far from the cheapest destination you can visit in Asia, it is quite concentrated; though we believe we could quite happily spend a lifetime uncovering the secrets and learning the nuances of Hong Kong, if time or money (or both) is a restriction, you could speedily see the city quite thoroughly in 5 to 7 days. I think I would go just for the food. It’s not in our plans, but it’s definitely something to think about for future trips. HK is absolutely worth going to just for the food alone! We have gone to several countries since then with excellent dining scenes, but I still think the food in Hong Kong was overall the best! Great summary! I especially appreciate your cost breakdowns. It’s something few people track and even fewer report on, but essential information for anyone seriously considering a long trip. You missed a great view at the Peak, but another reason to go back, and with the choice between a unique experience and a touristy staple you probably made the right choice. It was SO hard for us to admit defeat and give up the ghost of making it to Vic Peak, but we know without a doubt that we’ll be back to Hong Kong one day and will be sure that is the first thing we do! And the reason we didn’t mention Star Ferry in our transport section is because, as ashamed as we are to admit it, we never took it! The only ferry ride we took was when we cruised Vic Harbour that one night… but we definitely missed out by riding the subway below the bay each time rather than across it by boat. Great post!!!! So useful as we’re thinking of heading to Hong Kong this year. I’m a big city girl too. I love bright lights, fast pace and delicious eats. Sounds like my kind of place. I love what you said about striking a balance between purposeful sightseeing and leaving things open to chance. I think that’s really important too. It’s hard to get a feel for a city when you’re just doing touristy stuff, huh? I like time just to meander and observe what locals are doing. As far as I am concerned, Hong Kong is the big city to end all big cities! We’ve been to others, of course, but it still remains one of my very favorites… I still dream about the food! And I’m so glad we learned the lesson about loosening up and letting our trip unfolds as it will naturally, rather than trying to cram things in like we would on a conventional vacation. Some of the places I have loved most have been the ones where we did very little, but spent a lot of time observing and really soaking in daily life. 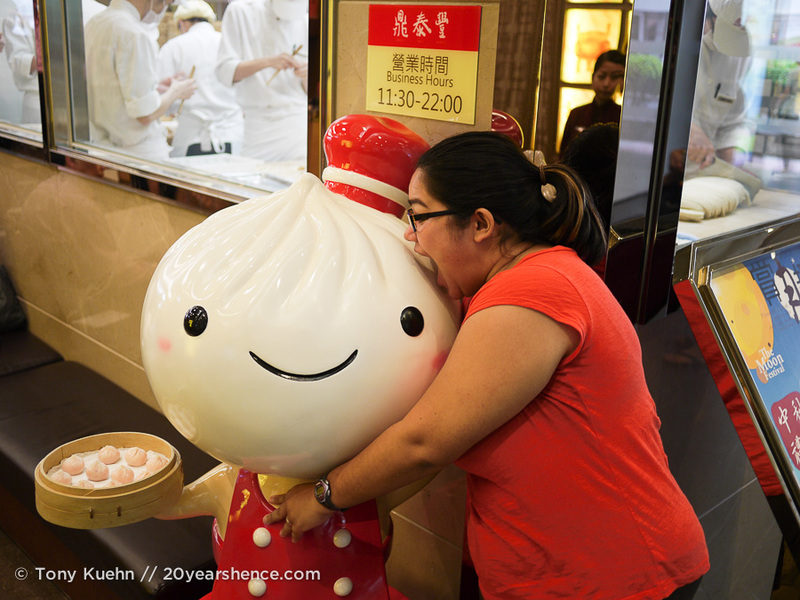 Always wanted to visit HK – I’ve heard the food is tremendously good! Very helpful, bookmarked for whenever the time comes to visit that dreamed land! Thanks for sharing Steph! No problem, Joe! Always happy to provide inspiration & information to fellow vagabonds, and am glad you found this useful. I thoroughly enjoyed reading through this, very informative, great job! You really have everything I ever wanted know here. Been some time since I was in Hong Kong, would totally refer to this when I decide to go back.